1JZ Transmission, Drivetrain, Clutches, Etc. - THE LATEST CUSTOM CLUTCH AND OUR PERSONAL FAVORITE!! This is a complete kit, with twin disc clutch assembly, install kit (ARP flywheel bolts, clutch hardware), button flywheel, and throw out bearing conversion and spacer as needed. What engine? What transmission? All of them! We have a version for your JZ or UZ engine, with Z33 trans, R154, V160, or W58! 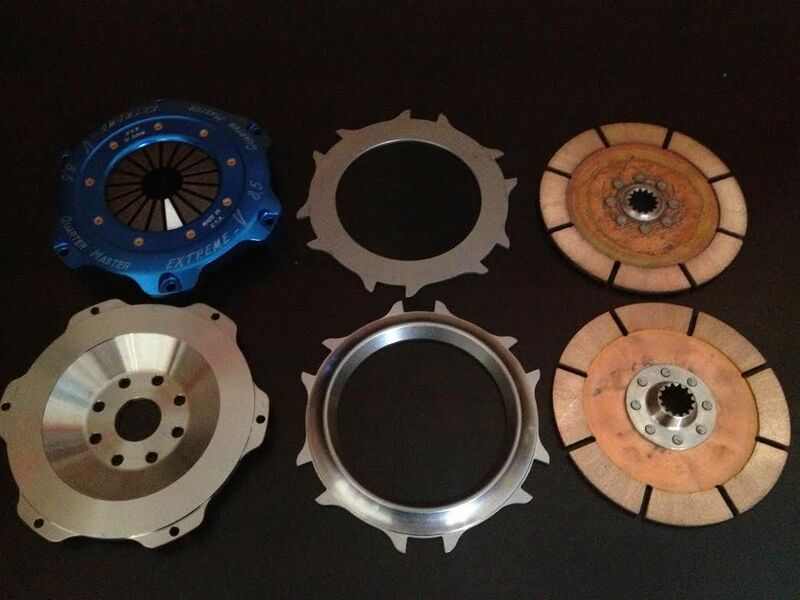 The twin disc is recommended for 800 rwhp cars for street/drift/endurance. 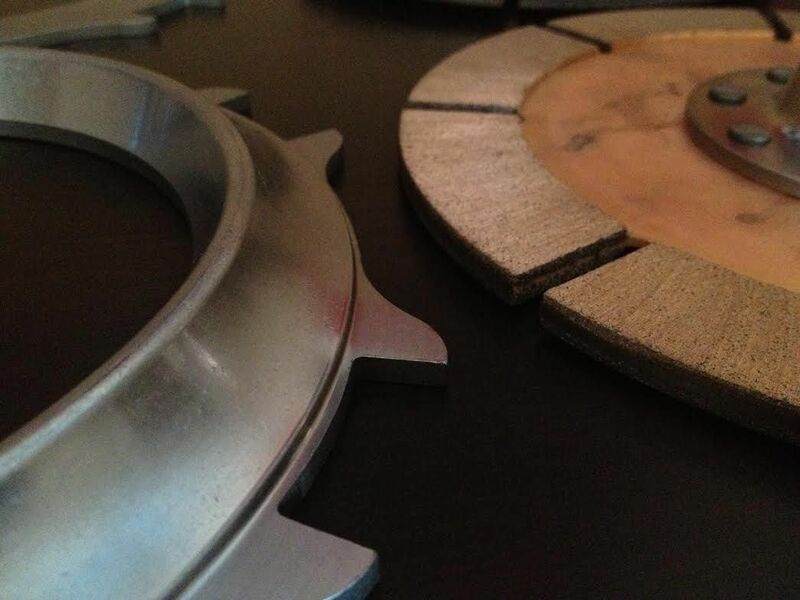 The sintered metallic compound is one of the highest quality materials for clutches. This clutch has slots between the segments to help cool the clutch easier, and extra thick padding to last through an extreme amount of abuse! The starter gear includes the ring gear needed to start the car. The much smaller button flywheel has much less rotating mass to deal with and works very well, but has no starter motor engagement. If this is your first time with an XAT QuarterMaster clutch conversion, you will need the starter gear and movement alteration kit as well. With the V160, we use a Tilton release bearing setup. 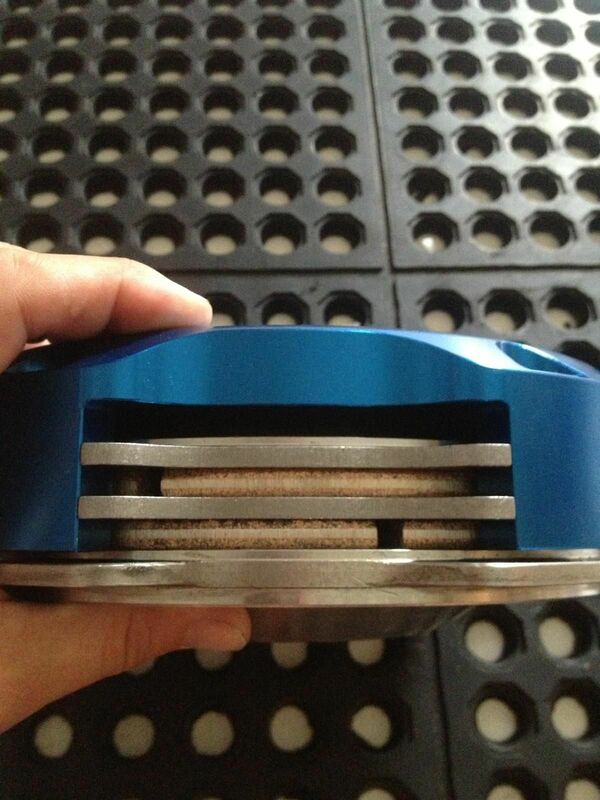 With the R154 and UZ, we use a QMI QuarterMaster hydraulic throw out bearing. 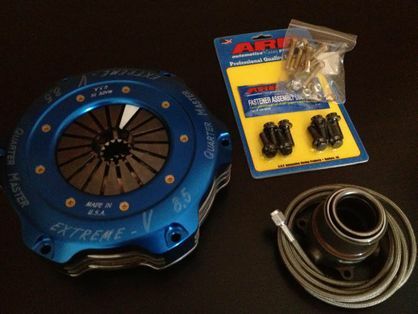 If using this clutch with the R154 and a JZ engine, you will need the OS Giken movement alteration kit as seen above.